This book is a walk through Chile detailing the adventures of Miguel Littin on his secret entry into Chile 12 years after he was exiled by the Pinochet dictatorship. Marquez has written this with Miguel Littin as the protagonist. Littin got back into Chile supposedly using a false identity, false passport and a false wife (hic hic!) to accompany him. During his stay there he secretively shot footage and even got an interview with a resistance leader, all of which form part of his documentaries. ‘Acta General de Chile’ is one of the films which is believed to have exposed the human-right violations under the Pinochet dictatorship. *I have recommended this book earlier. I just thought it apt to bring it back in the context of Littin’s ‘Dawson Isla 10’. 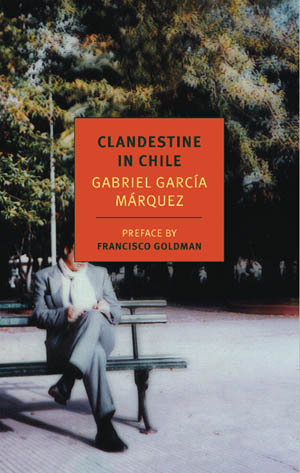 Useless trivia : ‘Clandestine in Chile’ has been translated to Bengali by Buddadeb Bhattacharya.